#CITTechIssue brings you Adding Value's chief executive Randle Stonier with his key event tech trends for 2014 and beyond. This rolls into wearable technology, which is already there with the likes of Nike’s wristband. Clearly Google Glass will go public in 2014 and roll out, while smartwatches have not yet been very successful; they haven’t quite got it right. As a manifestation of wearable technology, Google Glass has huge issues, such as ‘why are the people wearing them looking to the right’. Furthermore, there are security, data protection and privacy problems. But I think the internet of things – connecting all devices virtually – has in an event context the ability to deliver real-time information and to allow people to engage with content, such as augmented reality integrated with infographics. On the back of the internet of things is the need for greater app development to power it, ?and this will start appearing more in 2014. It covers everything from smartphone and tablet apps giving event itineraries; to asking questions; to delegates being able to download files relevant to presenters; and the ability to network and share thought leadership. It will be adopted increasingly in 2014. And I say that because there are still so many event organisers who have not moved beyond paper. At the moment there are too many guide app players and while the volume of apps will go up in terms of usage, there will have to be some rationalisation in 2014, with more robust apps that you can download once and use many times and for multiple events – a shell for events to sit inside. Event organisers need to win the hearts and minds of delegates before, as well as during, an event. Relevant content will be key to engaging and preparing them leading up to an event. In certain industries, delegates are more disposed to pre-read so they can contribute on an informed basis. Obviously, context is simply about making content rich and relevant to an audience, while it’s important that there’s an ability to share it on social platforms. Video backstage and interviews that go live during and after the event can further enrich the delegate experience. On the back of that is content creation – using apps such as Storify. Indoor positioning systems (IPS) lend themselves to plotting where you are in an indoor environment, at conferences and exhibitions ?for instance. Geofencing is a variation of that – creating an artificial or virtual boundary of space that can be used so that rather than a delegate finding a stand by its stand number, their smartphone plots them a route to it via Apple or Google maps. Playing into the geofencing/IPS space is the positioning of related content and advertising. In a Bloomberg or Reuters-type office space, you’ve got monitors displaying multiple information feeds, such as share prices, news stories and market reports. I can see a mash-up of that rolling out into the mainstream events space: in large and medium-sized events where you will see banks of monitors – one displaying Twitter feeds, another real-time news, and another with content from the event – all tied together with software that enables you to change over at the flick of a switch. Certain aspects of that will also be deliverable via delegates’ mobile devices. 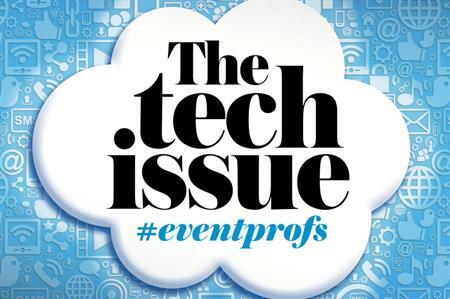 Big Debate: does live technology at events present a challenge or an opportunity?